19. Take equal parts of full fat mayonnaise and your choice of salsa, Dijon mustard, or sriracha sauce. 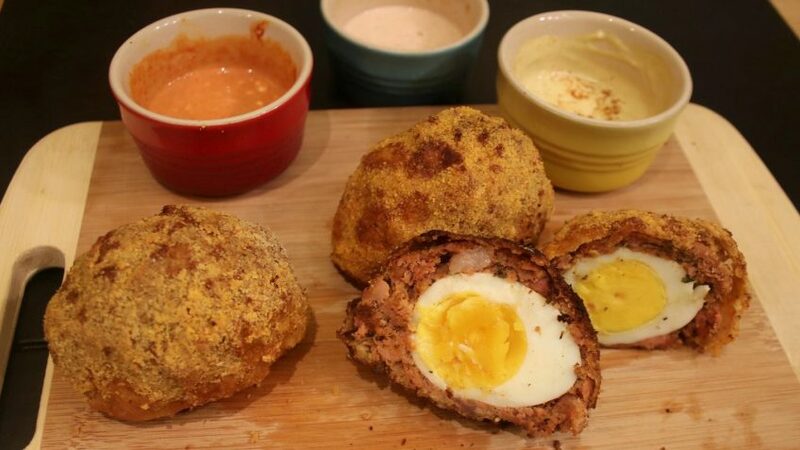 Mix each in a separate bowl and serve with the Scotch eggs. Enjoy!